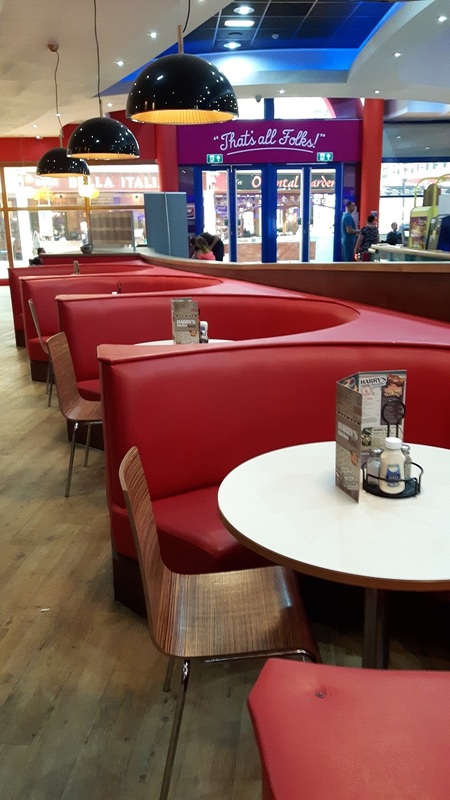 We recently had the pleasure of visiting Hollywood Bowl in Cardiff Bay with our two children for a fun-filled afternoon of ten pin bowling followed by food. This was the first time for the children to play ten pin bowling, whilst it had been a fair few years since my last game – that was the excuse I kept giving the children anyway as I proceeded to score less than them! On arrival, we were greeted by a friendly and helpful member of staff, who showed us to our bowling lane before taking our drinks order. As mentioned previously, it`s been a while since I last bowled, so actually setting up the games on the computer screen proved somewhat of a challenge! Luckily help was at hand in the form of our friendly member of staff James, who in no time at all had set up everything we needed for two games of exciting ten pin bowling. The games themselves were great fun, with both the children getting very excited when they had a strike or spare. 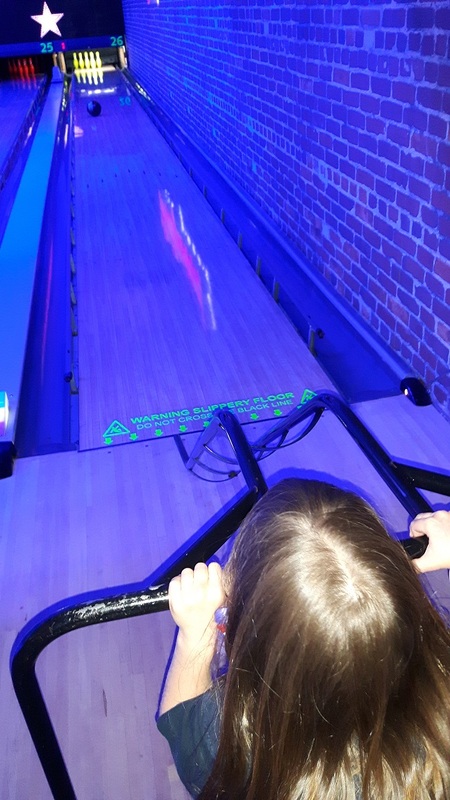 A nice touch was when the children were bowling, metal rails came up either side of the bowling lane to prevent their bowling ball going into the gutter, thus guaranteeing they would knock down at least one pin on every turn! 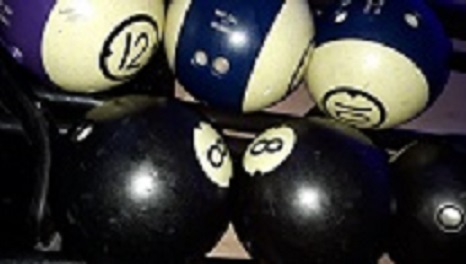 Unfortunately for myself and Louise, the metal rails suddenly disappeared when it was our turn to bowl, which will explain why I kept missing the pins on a frequent basis! All too soon, our two games were over, and so we retired to the eating area to sample some of the delicious menu. The menu choice was extensive, with plenty on offer for children and adults alike. 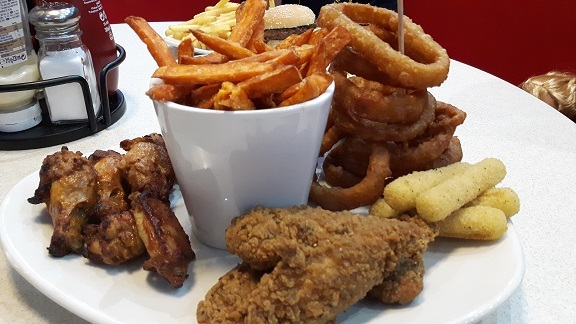 Louise and myself decided to go for the sharing platter, while the children went for the more traditional burger and chips. As there was nothing left on everyone`s plate at the end of the meals, it`s fair to say the food was a hit! 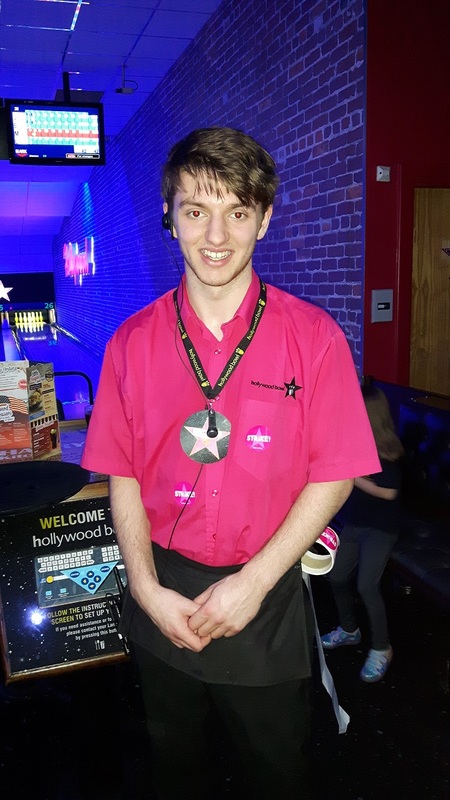 In summary, Hollywood Bowl were very accommodating from the moment we arrived, with all requests for food and drink answered quickly and efficiently by friendly and attentive staff. A fantastic, family orientated venue, and one which we will definitely be visiting again!